IPO ANALYSIS: MIDVALLEY ENTERTAINMENT LIMITED – NO VALLEY, IT IS DESERT – AVOID. 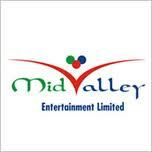 Mid Valley Entertainment Ltd - the film production, distribution & exhibition firm of South India, is entering the capital market on 10-01-11 with an IPO. The company intends to raise Rs 60cr for its ambitious expansion programme. Aryaman Financial Services Limited are the BRLM. The company produces, distributes and exhibits movies both in Indian and foreign languages. The company also holds the music, video and television rights of movies, television serials for TV Channels. The company has earlier produced movies like Thambi and Seena Thana, in Tamil. The company presently has screening agreements with 46 theatres across Tamil Nadu (34), Andhra Pradesh (5) and Karnataka (7). The company plans to focus primarily on movie production and exhibition business going forward. The promoters of the company are -Datuk K. Ketheeswaran, M/s. Unigold Pacifc Limited, M/s. Global Motion Pictures & Ventures Limited and M/s. Kiara Enigma Sdn Bhd. A. Entering into screening agreements with 300 cinema theatres. B. Renovation and Up-gradation of cinema infrastructure with Digital Equipment and other related assets for a select 100 screens. 1. The company operates in highly competitive and uncertain segment. 2. Lack of transparency and hence lack of corporate governance in doing business. 3. The company has not paid Income Tax dues aggregating to Rs. 914.00 Lacs. 4. For acquisition, no specific target has been identified. 5. The company had in the past defaulted and failed to repay the loan taken from City Union Bank Limited. 6. The company had violated certain guidelines under FEMA. 7. There are certain audit qualifications in the auditor’s report,pertaining to previous financial years/periods. 8. IPO grade 1 by BRICK WORKS. 9. Shares will be listed only in BSE. current 49.9% to ~34%. The company operates in media and entertainment industry which has high revenue volatility and suffers from video/audio piracy. The company will have a post issue capital of around Rs 40cr, servicing this kind of equity will be very difficult, going by company’s past track record. There are issues with respect to corporate governance. Shares of the companies in this segment, are not fancied in the exchanges. Even the much hyped, recently listed EROS Entertainment, shares are quoting below the offer price. AVOID. POOR QUALITY IPO. The country's biggest and largest bank is planning to raise Rs 10,000cr through retail bonds. The issue has been cleared by the regulator. ICOMM - an engineering, procurement and construction company, which is planning an IPO, got grade 3 from ICRA. The company provides dedicated comprehensive infrastructure solutions, in the telecom, power, defence, solar and it diversified into construction of water pipelines and drainage systems. ICOMM is having facilities for manufacturing Power Transmission products, Telecom & Defense (Wireless & Wireline) products and Solar Modules. The IPO is expected in the first quarter of FY 11. LISTING NEWS - PUNJAB & SIND BANK TO LIST ON 30-12-10. Labels: LISTING NEWS - PUNJAB AND SIND BANK TO LIST ON 30-12-10. This company / group needs no introduction. The company is promoted by promoted by Larsen & Toubro Limited (L&T), one of the leading companies in the country, with interests in engineering, construction, electrical and electronics manufacturing and services, information technology and financial services. IPO ANALYSIS: C. MAHENDRA EXPORTS LIMITED – ROUGH AND UNPOLISHED – AVOID. Do not invest in a business, one does not understand it - an adage. Diamond business is one such. Unlike gold, the diamond as a commodity is not standardized, in a way, that the man on the streets understands its intrinsic and true value. And most importantly, being a totally family and close circle business, there is complete lack of transparency in the business, with only the promoter manufacturers / traders knowing what is what, and the buyer is more often completely in the dark. Even the bankers who have been financing the trade for decades, concedes, valuation is a matter of concern. It has limited resale value, unlike gold and silver, and is illiquid in comparison. With the exception of some, the companies in this segment lack corporate governance and are subjected to Income Tax and Customs raid periodically. The recently listed Goenka Diamonds and Shree Ganesh Jewellery have given negative returns to the investors. Even the shares of the established players like Classic Diamond, Suraj Diamond and Shrenuj Diamond are not fancied in the exchanges. Now we have one more IPO from the same segment. 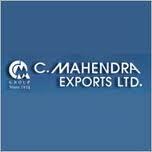 C. Mahendra Exports Limited, is entering the capital market on 31-12-10 with issue of 1.50cr equity shares of Rs 10 FV, in the price band of Rs 95-110. The issue closes on 06-01-11. Mahendra C. Shah, Champak K. Mehta, Pravin C. Shah, Pravin K. Mehta and Sandeep M. Shah are the promoters of the company. YES Bank Limited and Anand Rathi Advisors Limited are the BRLMs. Anand Rathi is not known for bringing quality issues at attractive valuation. In the recent past, the two IPOs managed by them - Euro Multivision and Pradip Overseas are trading at discount to issue price and retail investors have suffered losses. C.Mahendra Exports / Group is an integrated diamond and diamond jewelery player, from sourcing of rough diamonds, trading of rough and polished diamonds, processing of diamonds and manufacture of diamond jewelery. The group has marketing entities in Hong Kong and USA to cater to some of the major markets for cut & polished diamonds and diamond jewelery across the globe. Currently, the Group has around 8 marketing offices spread across Surat, Mumbai, Delhi, Kolkata, Hong Kong, New York, Los Angeles and Antwerp. At present the Company has two facilities for cutting and polishing of diamonds at Varachha and Udhana, in Surat. To set up of a jewelery manufacturing unit at Mumbai. For financing setting up retail of outlets, branding and for general corporate exps. 1. The company faces execution risks in the retail business, where it has no track record. 2. The diamond processing facility is geographically located in one area. Any localized unrest, political disturbances in the area could adversely affect results of operations. Retention of experienced employees is a challenge for this industry. The industry is already facing skilled worker crisis due to non availability. 4. Competitive business- depends on luxury market like USA and HK for business. Any slowdown in that economy will affect the company’s fortune. 5. Clash of interest. Promoter group is involved in similar business. 6. The expansion project is not apprised by any bank /FI and fully equity funded. The company is likely to post an EPS of Rs 5, for FY 11, on the post issue capital of Rs 60cr. At Rs 95-110, the company is demanding a valuation of 22x, which is very expensive. Other than Rajesh Exports Limited (Leading gold jewellery exporter), the stocks in this sector are not fancied by investors. Goenka Diamonds and Shree Ganesh Jewellery have disappointed the investors. The diamond industry is very fragmented, with low value addition and is characterized by high competition. Players typically have low margins and the working capital intensity is high arising from the long conversion cycle involved as well as delays in realization of export proceeds, which is more pronounced during demand slowdown in the key export markets. The company’s revenues and margins have shown considerable volatility in the past .The businesses remain highly working capital intensive, which affects the company’s ability to generate free cash flows and has also led to an adverse capital structure. IPO grade 2 by ICRA, indicating below average fundamentals. AVOID SUBSCRIPTION. 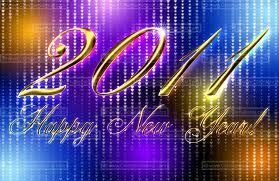 LISTING NEWS - RAVIKUMAR DISTILLERIES TO LIST ON 27-12-10. Labels: LISTING NEWS - RAVIKUMAR DISTILLERIES TO LIST ON 27-12-10. Mumbai based polyester yarn manufacturer is entering the capital market with an IPO. The company intends to mobilize Rs 36cr, by issue of 1.20cr shares of Rs10 FV, at a fixed premium of Rs 20 per share. Hem Securities are the lead manager to the issue. The issue opens on 27-12-10 and closes on 29-12-10. The promoters of the company are Mukesh Ruia and Mr. Ramniranjan Ruia. Shekhawati Poly-Yarn has been in the Polyester Industry for more than a decade and has been engaged exclusively in the manufacture of Polyester Texturised Yarn (PTY). This material is used in the process of weaving of fabric used for suiting, shirting, dress materials, saris, hosiery, knitted fabric, zipper fastener, curtain & industrial cloth as also to manufacture fancy yarn for high value dress materials and upholstery. At present, the company has 20 Texturising Machines with an installed capacity of 13,200 MTPA to produce PTY. The company has also installed 5 Twisting machines to produce Twisted Yarn with installed capacity of 600 MTPA. The Company proposes to establish manufacturing facility for Knitted Fabrics. The company has very poor corporate governance. The company has not followed proper accounting standard with respect to employees’ benefits and has not registered itself with the concerned government’s depts. for professional taxes, ESI etc. The company also does not have a full time company secretary. The project is fully equity funded without promoters’ contribution. CARE has awarded IPO grade 2, indicating below average fundamentals. No firm tie-up for raw materials. The company is yet place order for plant & Machineries. There is clash of business interest among the promoter group. The company operates in highly competitive industry, where the prices of products are dictated by big players. The company’s expansion project has not been appraised by any Bank or Financial Institution. Small time player in polyester yarn business. The company faces high competition both from domestic as well as international players. The net profit margins are very thin. Shares of companies in this segment are not fancied in the exchanges. Century Enka, one of the oldest players in the industry is available around 5 PE. At Rs 30, the company is demanding a valuation of 20x on its FY 11 earnings, on the post issue capital of Rs 22cr, which is expensive. Poor quality IPO from Hem Securities (their maiden IPO). Stay away from the issue. The issue is not worth subscribing even at face value. AVOID. The company which is planning an IPO got 4/5 grade from CRISIL. Greatship (India) Limited, a wholly owned subsidiary of GESCO. The company is in to providing marine logistics and drilling services for offshore oil and gas explorations activities. Recently, it ventured into offshore construction services. The company owns and operates a fleet of jack-up rigs and offshore support vessels. The consolidated revenues of the company have grown at a two-year CAGR of 282% to Rs 3,159 mn in FY09 and profits have grown at a two-year CAGR of 377% to Rs 475 mn. The strong growth in revenues is primarily on account of higher operating fleet and a smaller base. Revenues for nine months ending December 2009 were Rs 5,374 mn and profits were Rs 656 mn. The consolidated net worth of the companywas Rs 13,160 mn. The proceeds of the issue would be utilised to fund acquisition of certain vessels, early redemption of part of preference share issued to promoters, repayment of portion of debt availed by the company and to meet general corporate purposes. Sterlite Energy, a Vedanta Group company and subsidiary of Sterlite Industries Ltd, which is planning to raise Rs 51,000 mn through the IPO, got 4/5 grade from CRISIL. power plants. The group intends to develop all future commercial power generation projects through Sterlite Energy. Sterlite Energy is currently developing two coal-based power plants – a 2,400 MW plant in Jharsuguda, Orissa and a 1,980 MW in Talwandi Sabo, Punjab (Talwandi Phase-I). The company has recently signed an MOU with the Government of Punjab to set up an additional 660 MW unit at Talwandi Sabo (Talwandi Phase-II). The proceeds of the IPO would be utilized to part finance the construction and development of Jharsuguda and Talwandi Phase-I power projects, and to fund general corporate purposes. LISTING NEWS - CLARIS TO LIST ON 20-12-10. Labels: LISTING NEWS- CLARIS TO LIST ON 20-12-10. The recommendations of the First Choice was right every time. VIJAY SANKESHWAR AND MR. ANAND SANKESHWAR. The IPO of PSB was over subscribed to the extent of 30 times on the penultimate day. The issue closes tomorrow. It is expected, that the issue, may get another 10 times subscription on the last day. RS 500CR AND OFFER FOR SALE OF 11,964,218 EQUITY SHARES BY S. KUMARS NATIONWIDE, AND 2,991,055 EQUITY SHARES BY INDIVEST PTE LTD.
IPO NEWS : MOIL SUBSCRIBED 55 TIMES.